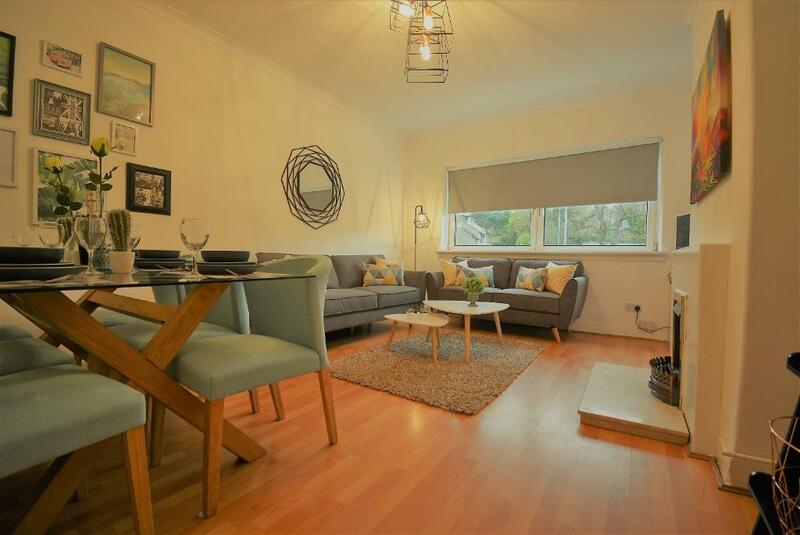 Signature - Fyvie City Apartment Glasgow is situated in Glasgow, 1.5 miles from Pollok Country Park, 2.5 miles from House for an Art Lover, and 3.1 miles from Hampden Park. Housed in a building dating from 1970, this apartment is 3.1 miles from the Ibrox Stadium and offers free WiFi. The apartment is fitted with 3 bedrooms, a flat-screen TV and a fully equipped kitchen that provides guests with an oven, a microwave, a washing machine, a toaster and a fridge. Glasgow Science Centre is 4.3 miles from the apartment, while The Hydro is 5 miles from the property. South is a great choice for travellers interested in entertainment, city trips and sightseeing. 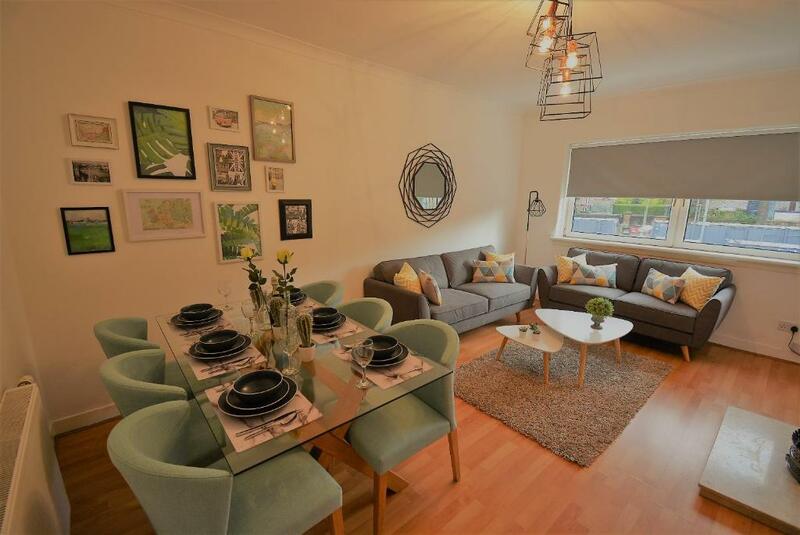 Signature - Fyvie City Apartment Glasgow has been welcoming Booking.com guests since 25 Oct 2017. 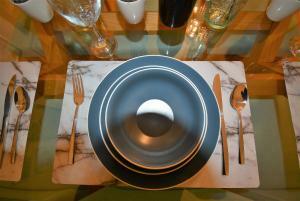 When would you like to stay at Signature - Fyvie City Apartment Glasgow? This apartment has a toaster, electric kettle and seating area. We are pleased to be able to offer a well-furnished 3 bedroom apartment set in the beautiful Southside of Glasgow. 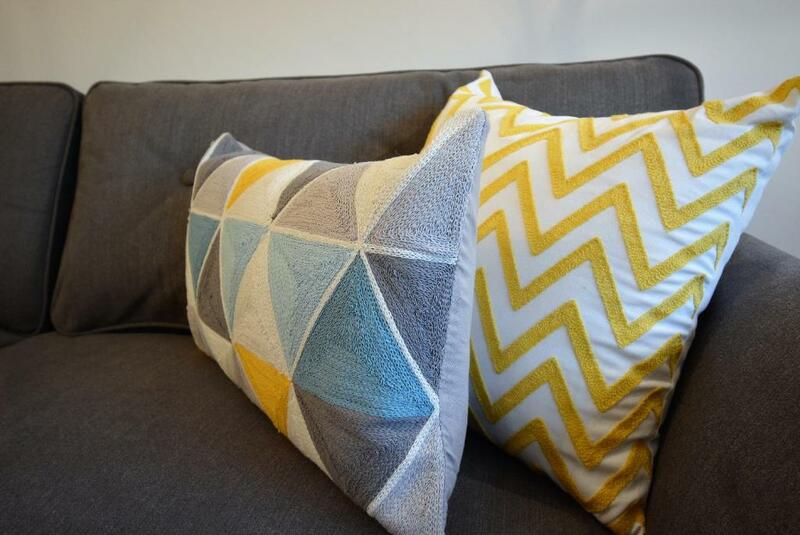 The Space The apartment is an ideal base for guests wanting to explore in and around the fabulous city of Glasgow. 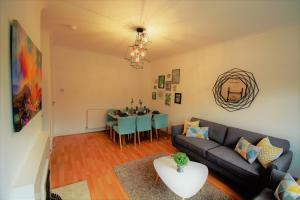 This third floor apartment has 3 spacious twin bedrooms, all decorated to a high standard. All linens and towels will be provided. There is a large cozy living room complete with dining area, along with a well equipped kitchen - everything you need to relax after a long day of exploring our beautiful city! Feel free to snuggle up on the couch and watch the flat screen TV, and use our complimentary WiFi to plan the next day's adventures! Guests will be able to enjoy a home away from home experience during their stay with us. At Signature Serviced Apartments, we offer you a selection of Serviced Apartments, which are a great alternative to a hotel when you are working or staying away from home. 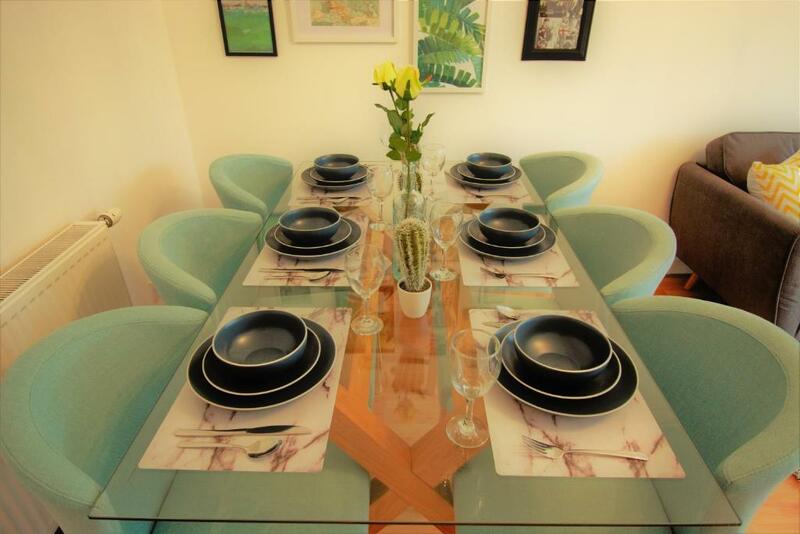 Serviced Apartments allow you to travel away from home yet live like a local. No matter what the reason for your stay we will do our upmost to provide suitable accommodation to fit your needs. 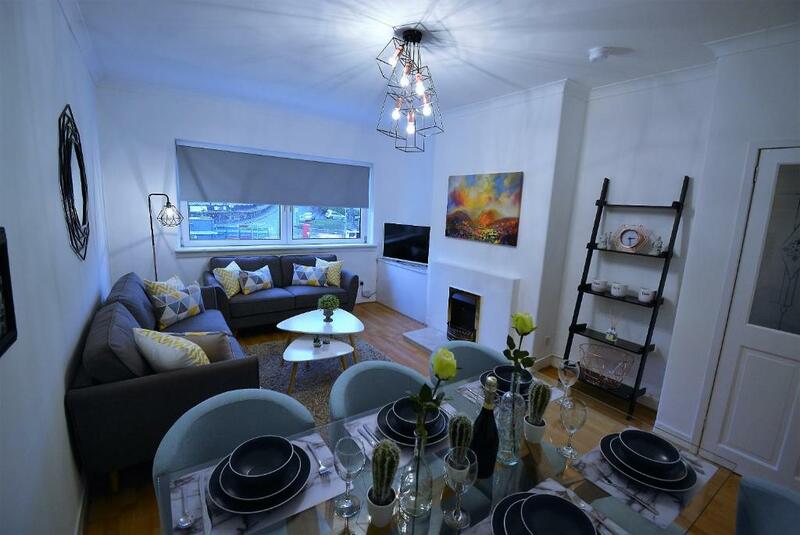 With an extensive range of Serviced Apartments located throughout the Scottish Regions of Paisley, Glasgow, North Lanarkshire and South Lanarkshire; here at Scottish Serviced Apartments can offer a wide choice of flexible, tailored accommodation solutions. Whether you are relocating with your family or looking for long term accommodation for a project, we believe you should have the option to stay in a spacious, comfortable environment that is fully equipped for all your business and lifestyle needs. 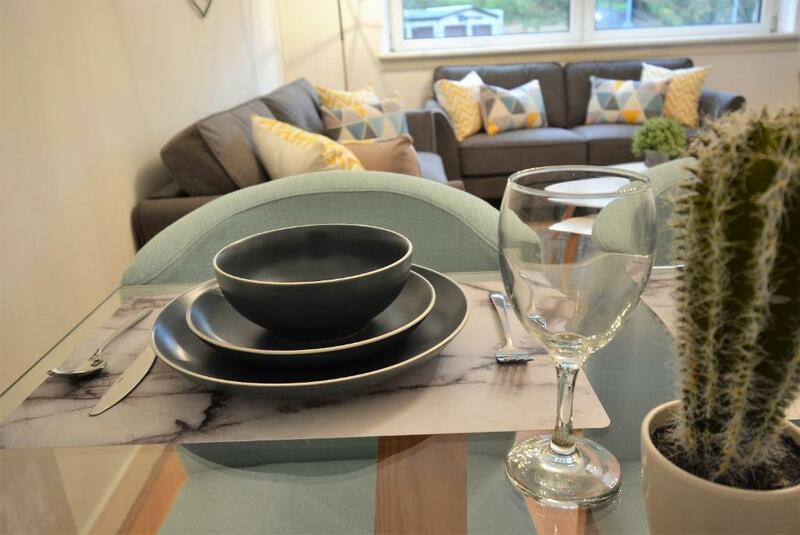 Featuring modern kitchens and bathrooms, generous living space, high speed internet and housekeeping services, our contemporary Serviced Apartments provide the opportunity for you to work, relax or entertain, just as you would in your own home. The Southside has a wonderful variety of resteraunts,bars,, cafes and shops. There is the beautiful and expansive Pollock Park a short walk away, and access to the city centre is only a short train or bus ride away. House rules Signature - Fyvie City Apartment Glasgow takes special requests - add in the next step! Bankcard Signature - Fyvie City Apartment Glasgow accepts these cards and reserves the right to temporarily hold an amount prior to arrival. Signature - Fyvie City Apartment Glasgow accepts these cards and reserves the right to temporarily hold an amount prior to arrival. Guests must be quiet between 21:00 and 08:00. The rest of the apartment especially the bathroom. It needs completely refurbished. The bath was really dirty probably due to the fact there was hardly any enamel on the bath. Shower curtain was really grubby and the shower has seen better days. Not enough cutlery in the kitchen for 6 only 4 people. Location was further out than we expected. Only one toilet roll was provided for a 2 night stay with 4 people so we had to go out to the shop to pick some up. We also had trouble from the downstairs neighbour, we were out at an event the majority off the weekend but he complained to us about the noise and was really aggressive. Property was beautiful inside, clean and exactly what we needed. We loved this apartment couldn't find a single fault.